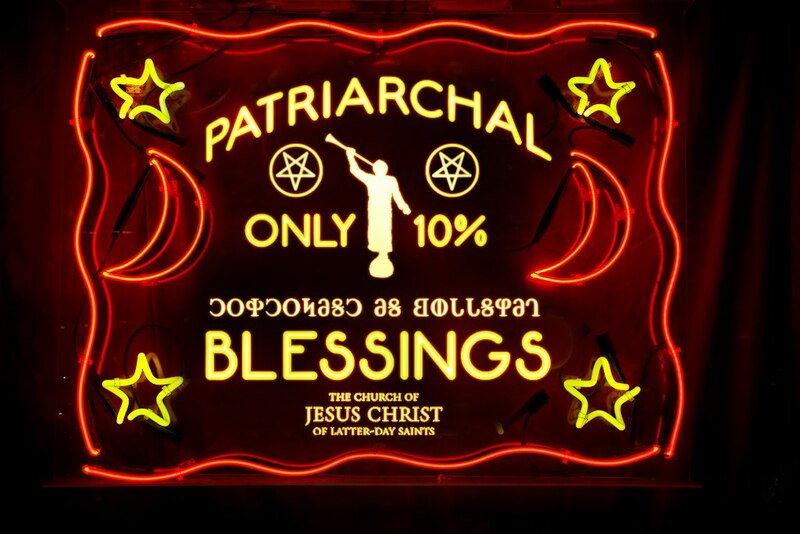 Patriarchal blessings are given to worthy members of the Church by ordained patriarchs. Patriarchal blessings include a declaration of a person's lineage in the house of Israel and contain personal counsel from the Lord. As a person studies his or her patriarchal blessing and follows the counsel it contains, it will provide guidance, comfort, and protection. Members receive a written copy and consult the text regularly throughout their lives. For many, it is used as a guide to help make decisions for an entire lifetime. The strange lettering is written in the Deseret Alphabet, a script developed at BYU under the direction of the Prophet Brigham Young. I can't remember the last time I saw something so humorous about another person's religious beliefs? What's the difference between a Patriarch warm reading you for your blessing and a common Psychic? The Deseret Alphabet was designed and developed at the University of Deseret - which became "The University of Utah". Both BYU and The University of Utah were founded by Mr. Young, but the University of Utah proceeds BYU by 25 years.